Make matches to help each princess find her princess power and complete her magical journey. See how many princess you can pair by flipping and matching each card. What do you dream of? In this clip from the timeless Disney classic, adventurous Pocahontas learns of her father's return and can't wait to see him. 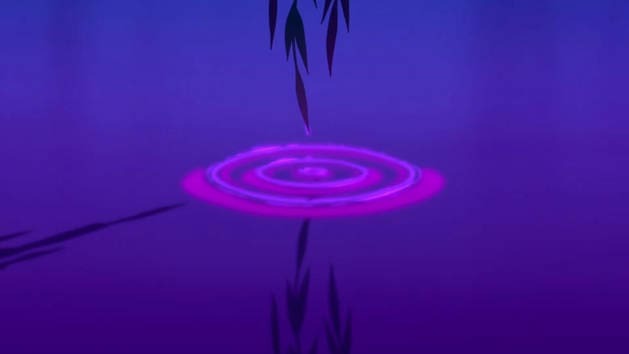 Grandmother Willow teaches Pocahontas and John Smith that small actions have a ripple effect. 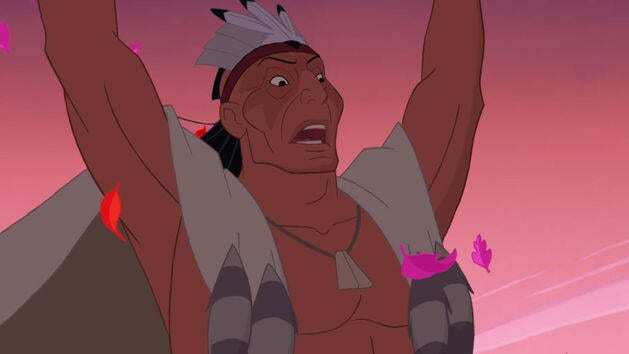 Watch Pocahontas' defiant cry for peace in this moving clip from the Disney classic. Just around the riverbend, your spirited Powhatan princess blazes a trail to discovery and adventure in this simulated suede Pocahontas costume imprinted with shimmering golden leaf pattern. Fun is just around the riverbend with our Pocahontas Classic Doll. Featuring poseable arms and legs, this beautifully detailed heroine makes playtime a spirited adventure. Includes a jeweled ring for you to wear and share! Dress up with all the colors of the wind in this collection of dress, boots, and jewelry set inspired by Disney's <i>Pocahontas</i>. Our plush Pocahontas doll is lovelier than ever with her fine embroidered features, fringed native costume with glittering accents, and long, soft hair. Playtime surprises are just around the river bend! 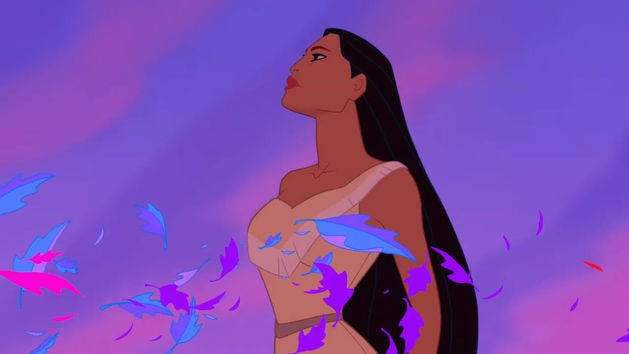 Inspired by master animator Glen Keane, young Pocahontas is a spirited Native American Princess in wonder at all the ''colors of the wind.'' This updated edition doll wears a fringed faux suede dress with glittering detail and includes plush Meeko. A wonderful world of Disney characters populate our Tiny Big Feet Plush Collection. Cute as can be, the posh pug Percy from <i>Pocahontas</i> may be small in size but he's big on hugs. Pair him with his raccoon pal Meeko for double the fun.